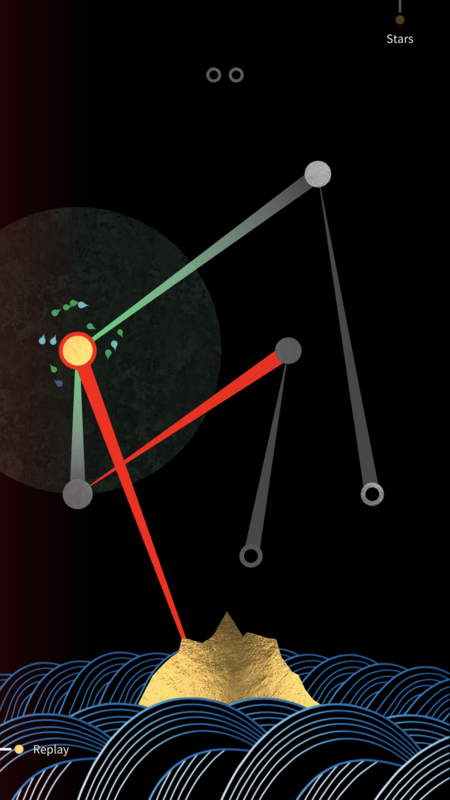 SHI•RO ($2.99) is not a typical puzzle game, nor is it a traditional narrative game. It unexpectedly combines the two through the use of an ornate Japanese lacquer box with an inky black varnish. 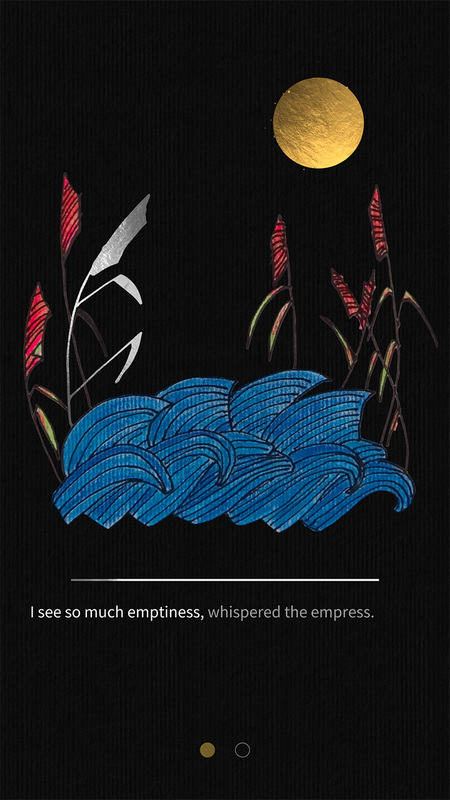 The first part, Kuro, tells the story of Empress Gemmei creating the Kojiki in the early eighth century. By completing puzzles separating the sky to the sea, you move through the oral history that was being scribed for the first time. The Kojiki is the oldest surviving Japanese written document. It’s based on the oral histories learned by Heida no Are, as he was ordered to do by Emperor Tenmu. Through his reign, and two others, nothing was done with this information, until Empress Gemmei requested the tales be written down by Õ no Yasumaro in order to prove she had rule over rival clans denying her supremacy. It begins at Japan’s creation from nothing, but also includes myths and legends, oral traditions, chronologies and genealogies, and even songs. The developers gave a history lesson on the game’s content via Twitter, if you’d like to learn more. This brief history is important, as it is the basis of SHI•RO. It’s definitely not a perfect take on the past, as it brings Heida no Are together with Empress Gemmei, but the many tales are told beautifully through the completion of puzzles. The Kojiki tells that in the beginning, sea was sky and sky was sea. The game moves through time by completing levels (there are over 60) and rotating the box by swiping to find the story continuation. The story itself is a relatively common one, of love, loss, and friendship, but seems brand new being told through an ancient frame. The game is arranged around this box, with constellations containing the bulk of the gameplay. 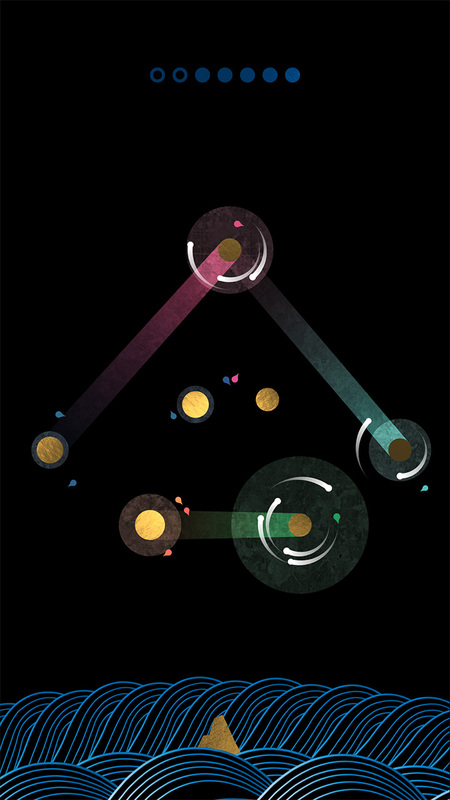 Complete the levels in a given constellation to complete it and unlock more story. When there is story to be told, it shifts to hand-drawn illustrations with distinct Japanese style. Selecting shimmering gold sections adds a new layer to the narrative. The developers made two trips to Japan to experience the art, culture and history, and the story and the art make their appreciation of the country undeniable. The levels involve connecting golden moons to each other and to golden land emerging from the sea. This separates the land and sky, creating growth in the world. Each moon has a number of drops, and to connect to another it must have equal or more drops. There is an emphasis on the Japanese spoken word as the levels end, moving through time with these words as well as the stories. As an English speaker, clearing levels teaches me Japanese words. The opposite could be said if I were to switch the language. Throughout, Taiko drums are beating in the background. The puzzles become remarkably complex after the first dozen or so, but there are always hints available if you’re stuck. You don’t need to wait a certain time or watch ads, simply make an attempt and the next hint will unlock for you. For players who want to experience the story above gameplay, this allows you to fast-forward a bit through the levels. However, when I find myself struggling, I prefer to sit with the level. Admire the smooth black finish and golden moons with their little colorful teardrops. Watch the lines of the water crash about. It’s as though the levels were designed to be spent time with, admired as though each was hanging on its own in a museum. Settings are simple, with toggles for sound and gyroscope capability, and a language selection option. I am slightly concerned for how someone with colorblindness would be able to play with no options – there are a few instances where that could be a problem, such as not being able to see the red of the crossing beams or when having to select the gold parts to further the story. Setting the gyroscope “on" allows the in-game reflective surfaces to glimmer and glint atop the black lacquer as you move your phone, as a real reflective surface would; it’s actually quite impressive and the first mobile title to use reflective metal surfaces. SHI•RO is all about connection. It connects moons to each other, the sky the the earth (despite the actual separation being caused), the past to the present, the heavens to the land. Most importantly, it connects the player to the story through the sleek lacquer box on which the game is set. After connecting moons and completing a level, you’ll need to turn to the box to reveal the next level; if you’re stuck in a level, swipe the box in the other direction to repeat the level. The touch interface is what completes the connection from the player to the story, and the sound effects almost act as haptic feedback when creating connections. What’s incredibly interesting to me is where the developers may go for the two parts following Kuro, Midori and Aka. Each of these is the name of a color in Japanese: “kuro" translates to “black," “midori" translates to “green," and “aka" translates to “red." Also, the title of the game is a colour, as “shiro" translates to “white." Can we expect different lacquers on the box in the following two parts, considering Kuro’s is set on the black the name represents? Will the game be divided into the three parts, or volumes, of the Kojiki? 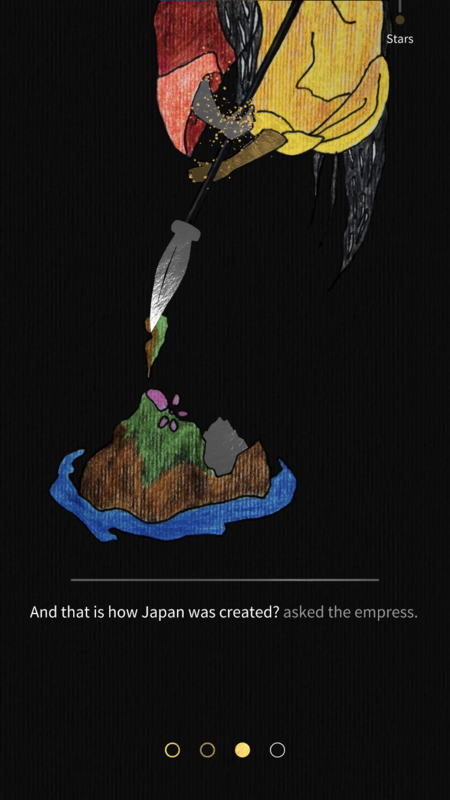 The first part, the Kamisumaki, focuses on the age of gods and myths about Japan’s creation. The second part, the Nakasumaki, tells the story of the first Emperor and only lists the following eight. And the third, the Shimotsumaki, covers emperors 16 through 33 (although only the first eight are detailed), and unlike the past two contains hardly any mention of mythological beings or Gods.